Posted by Nick Prescott on 9 September, 2017. People tell us that one of their main concerns with a home renovation is choosing builders, contractors and trades, and then working with them. That’s partly why they engage us to manage it all. However, the reality is that the vast majority of contractors are decent folk looking to delight their clients. This article offers guidance on choosing and working with good contractors. If you are going to renovate a house, the chances are that you will need to employ a contractor; this should be a pleasurable experience. You just need to prepare and plan, have realistic expectations and make informed choices. Problems will arise from time to time, but working through those problems with a quality contractor can be very rewarding. We’ve written previously on how to engage contractors in our piece on home renovation. We won’t repeat that here; instead we want to focus on the importance of finding quality contractors; those that actively offer professional insights and advice for the benefit of the project, as well as doing a good job. One of the first questions I was ever asked at interview was the meaning of “quality”. I probably gave one of the standard, boring answers: “fit for purpose”, “meets the specification”, “fulfils expectation”, and so on. 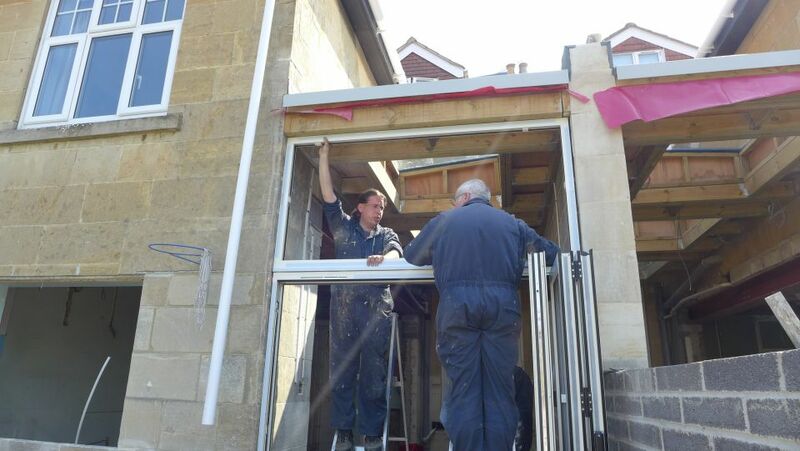 But over the years, I grew to look at quality differently, particularly as it applies to tradesmen and women. Quality is about really understanding a task (I mean really understanding it). It applies as much to making a dining table as it does to a being a great footballer, scientist or plumber. If you’ve ever read Zen and the Art of Motorcycle Maintenance by Robert Pirsig, you’ll understand this better. Only by becoming “at one” with the machine will you know how and when to maintain it, solve its problems, and truly enjoy the relationship. Motorcycle maintenance is, of course, a metaphor. So what does this mean when working with builders, contractors and trades? Quality tradesmen and women have a deep understanding of their trade; they are proud of it, and will speak intelligently about your project. You can tell by talking to them. A quality tradesperson will ask you searching questions about what else is going on, and offer thoughts and advice that you may not have considered. They will picture your finished project (however big) and will see how their activity fits in. They will apply their knowledge to the broader implications of your project, appreciating your circumstances and your constraints. These are the characteristics of a professional, quality individual. If you are having to choose between trades, ask yourself the following: Which one asked relevant questions? Who listened to me? Did they sound like they understood my requirement and my concerns? Which contractor drew on previous experience to give me confidence in their ability? Did any offer ideas and suggestions? Who made me feel comfortable? You may be meeting a contractor face to face for the first time. You don’t know them; they don’t know you. It is important from the start to build trust so that you discuss a project frankly and openly. Whilst you may have a very clear specification (see How to renovate a property) you should still encourage contractors to offer suggestions. This may save you money or maybe increase the budget, but if it delivers a more cost-effective solution, it would be worth considering. This relies on trust. It irks me to hear of contractors simply “following orders” when dialogue would have delivered a much better solution. You will gain more confidence in a contractor who brings experience from previous work and applies that experience to your project. Look out for this when making your choice. The plumber who fitted budget radiators throughout a grand, period property. In the main drawing room he installed two single 2m radiators along the main wall, preventing any furniture from being positioned there. He should have asked more questions of his clients, but he simply got on with the job. His “plumbing” was fine; his “quality” was terrible. The tiler who we met tiling a shower cubicle; he had been recommended to us so we arranged to see some of his work. His grout lines weren’t vertical and varied in thickness. He mentioned that the wall wasn’t square. He had every opportunity to square the walls before he started. If there was a cost implication then he should have raised it with the client. Why would a self-respecting tiler tile a wall out of square? We didn’t add him to our books! The electrician who fitted a row of three sockets in a tiled kitchen splashback. Rather than chasing each pocket separately allowing for neat separation between the backboxes, he cut a single slot for all three butted together. When the job was finished, you could see the hole behind the splashback through the gap between each cover plate. The joiner who fitted smart built-in shelves and cupboards but used a filler that he knew was difficult to paint over. 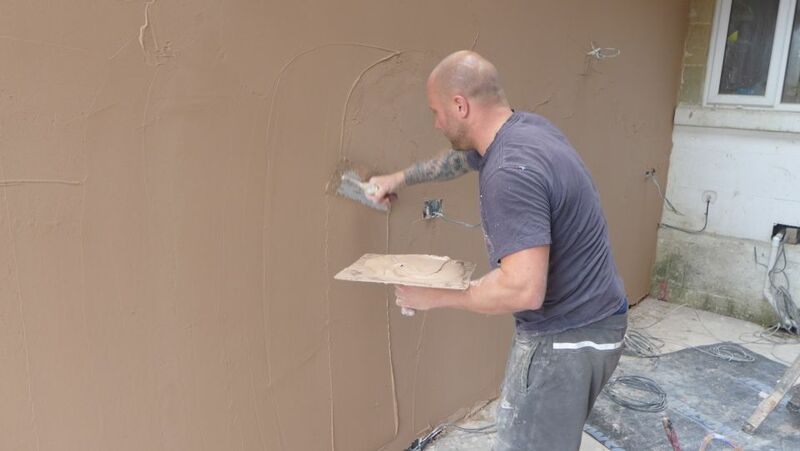 It made his work look good, but he knew that the decorator would struggle to achieve a good finish. The tiler who fitted a broken tile behind a toilet waste thinking it wouldn’t be visible behind the soil pipe; but it was. We could go on, but you get the idea. Quality trades wouldn’t do these things. You can learn a lot from seeing their previous work. The contractor who suggested making a complete daylight effect ceiling in a cloakroom with no windows. He fitted daylight lamps above a translucent ceiling panel, and the room came to life. The plumber who suggested using a durgo valve for an upstairs WC rather than a fully-vented soil pipe. 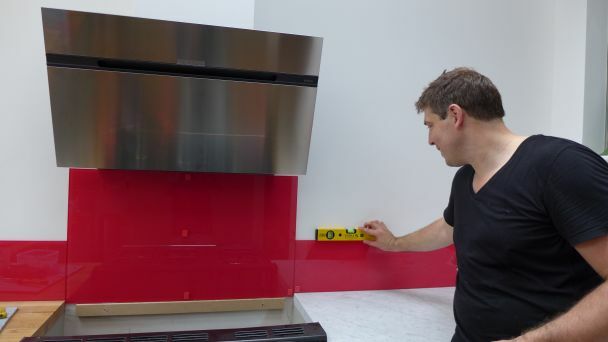 We could then dispense with an internal partition wall, we didn’t need to run the vent through a glass ceiling, and we were able to open up the new kitchen diner in the space below. 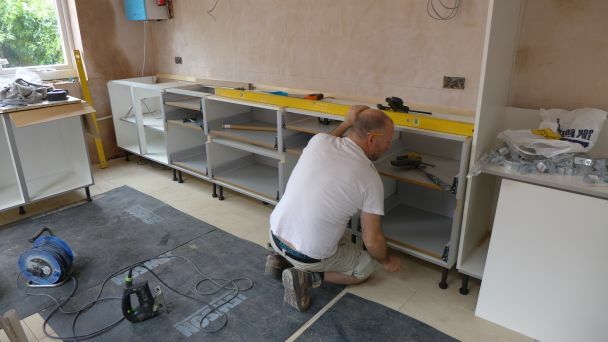 The joiner who fitted unobtrusive push-to-open mechanisms to enhance our sleek TV and hi-fi cabinet design. The supplier who found a way of fabricating a 3m glass kitchen splashback in one piece. Our upholsterer who advised on the types of fabric that would and wouldn’t work with the old boardroom chairs that we were upcycling. 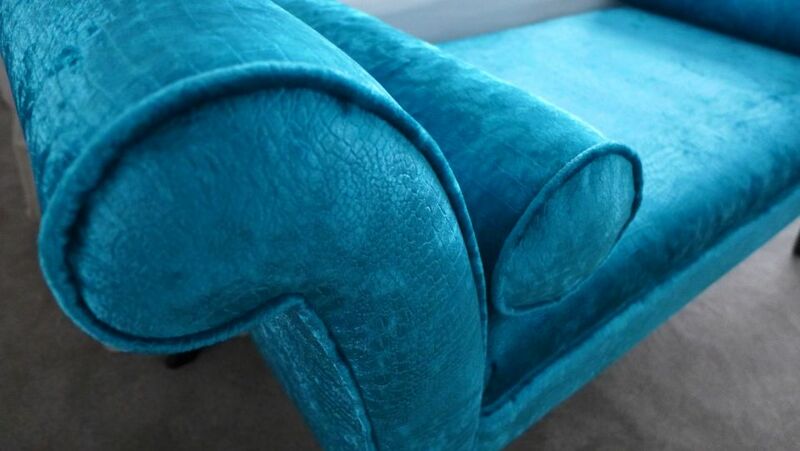 One of our bespoke furniture suppliers who worked with us on our basic concept to create a beautiful bedroom chaise. 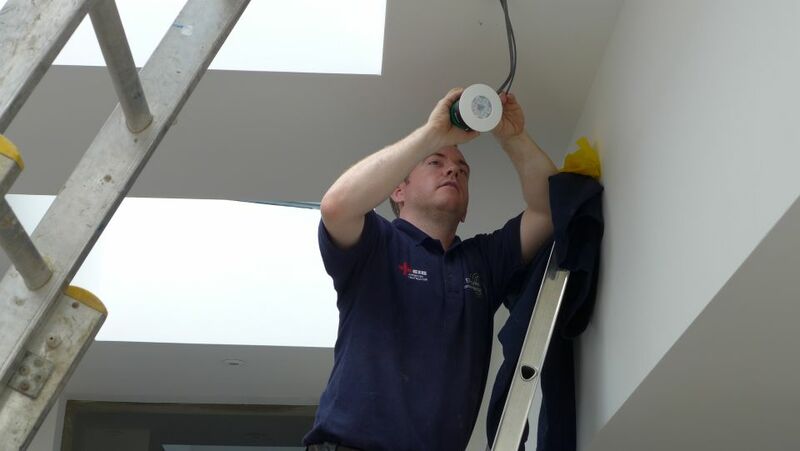 The electrician who designed and installed a switching mechanism to allow a flat with limited electrical supply to operate all the appliances we wanted. The decorator who advised us not to buy two different paint colours; one above and one below the picture rail. He would mix 3 parts white paint to one part of the main colour to create a perfect tone. 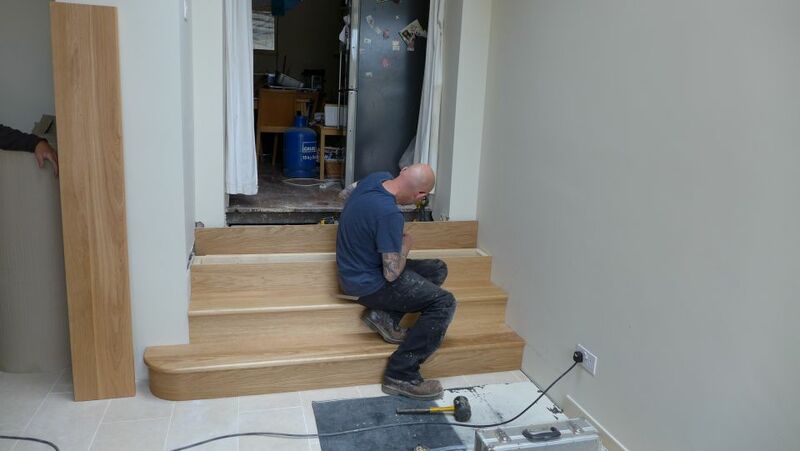 Collaboration with quality trades improves the end result. 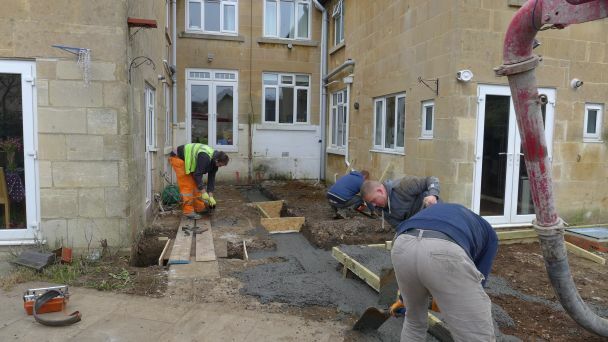 Whilst we always have a tight specification for each of our projects, we remain open-minded to suggestions from quality contractors who ply their trade day in, day out. We hope you have found the above insightful. When working with builders, contractors and trades, the key is choose one that really understands your project. The chances are that he or she will also be the one that you like personally, and with whom you feel most comfortable. 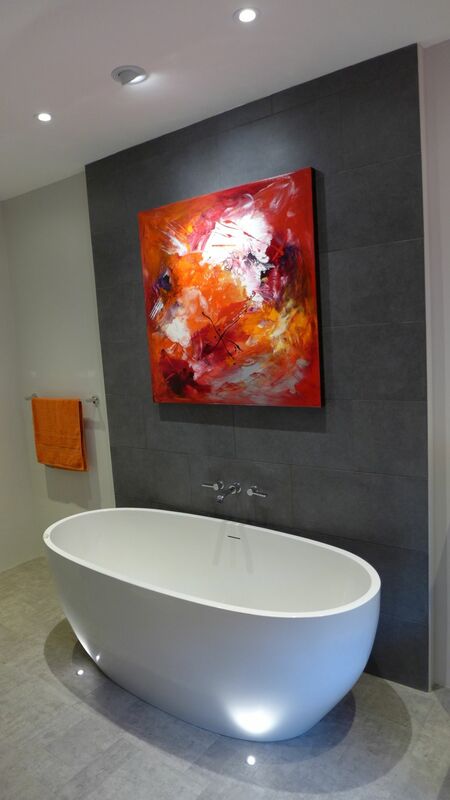 If you’d like more advice on renovating your home, you may find the following useful.